I bought a new spring for $3.09 that cost be $4.10 to ship it or something ridiculous like that. SHould arrive tomorrow. 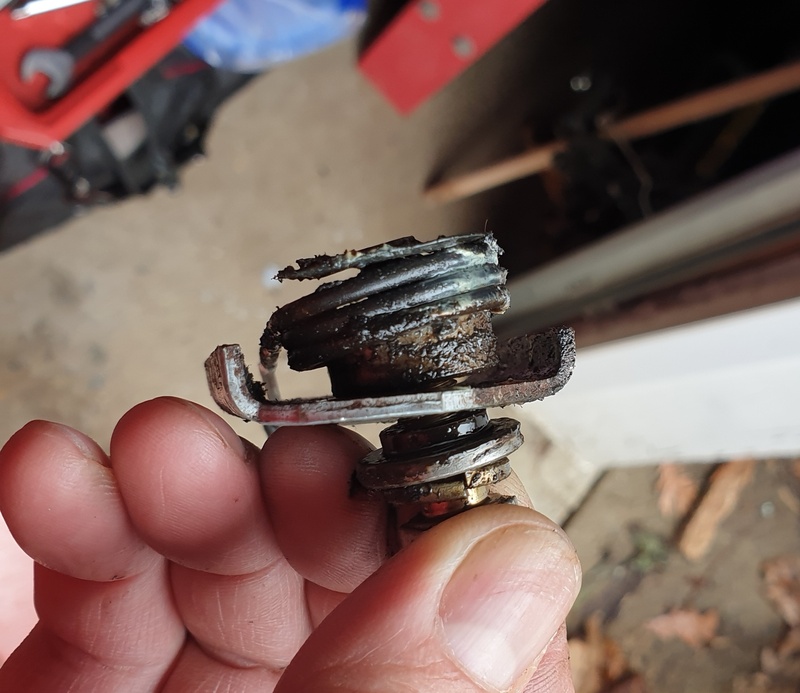 I took it apart, inspected the pulley/bearing, cleaned everything up and nothing seemed out of place......except maybe the spring looking a bit old. Hoping this will fix it. Is the spring supposed to go over the space piece there? Maybe that's the problem. Putting tension on the spring when installed seems way too easy. That said, it was difficult to put the belt on as I had to push the tensioner pulley quite hard. Installed the new spring....and same thing. So it is not the spring. I feel like with the tensioner pulley bouncing all over the place it's going to put extra stress on the drive belt. Then again. I wish I had taken the cover off and looked at how the old belt behaved before installing the new one. Anyone have a similar machine that can see if their tensioner bounces around as much as mine? There's pretty much only one way and direction it can go in order for the belt and pulley to line up. Plus when I changed the belt I didn't even take off the pulley. So I highly doubt that is it. I'm guessing now maybe there's too much tension because of the new belt? What's confusing is MTD/TroyBilt told me that correct belt is 34.4" and 3/8" top width compared to what was on the machine - 33" and 1/4" top width. Well, THAT'S some important information... You have not provided your actual model number; is it this one? Troy-Bilt 5024 (31AS6BN2766) - Troy-Bilt Storm 24" Snow Thrower (2006) It calls for a Troy-Bilt 954-0367 BELT 3/8 X 34.4'' But yours may be different? This belt fits perfectly inside of the pulley. if it was any wider it would not fit. I've called support, chatted, and checked their websites. On the phone one rep said "If you have a 1/4" belt then get a 1/4" replacement". Look at the comparison video. 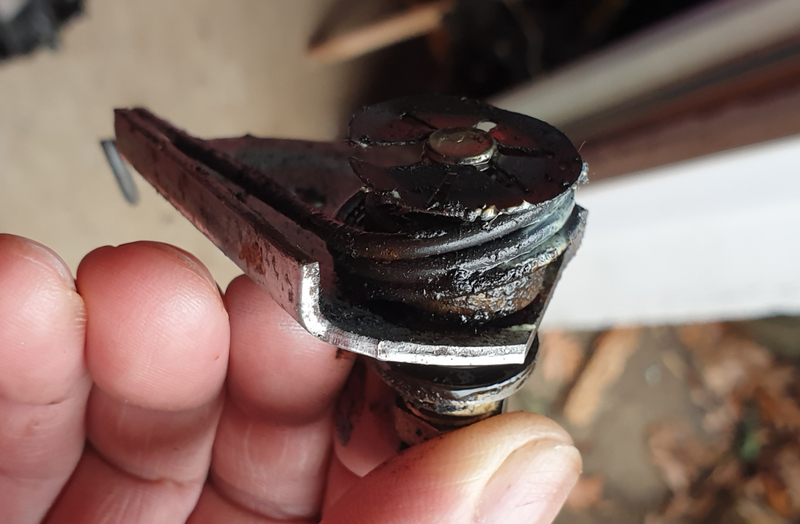 Same engine, same belt, same tensioner setup.....and his doesn't move at all. 954-0367? So no on 3/8 X 34.4??? Last edited by SimplicitySolid22; 03-27-2019 at 10:42 PM. Please explain why 754-04088 is on my machine......when purchased new..........and also on the other video I posted as well. Same machine basically, same engine, same belt.